Aluminum foil supplier for electrolyte capacitor provide 1070, 3003 electronic aluminum foil applied in electrolyte capacitor industry. The aluminum foil for electrolyte capacitors is a kind of corrosive material working under polar conditions, it has high requirements on the structure of aluminum foil. 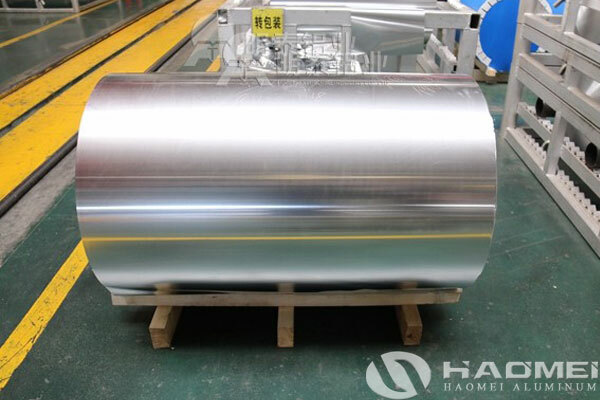 The aluminum foil used is divided into three types: cathode foil, thickness of 0.015mm~0.06mm; high pressure foil, thickness It is 0.065mm~0.1mm, and it is required to produce aluminum foil with high purity aluminum; low pressure foil with thickness of 0.06mm~0.1mm. Aluminum electrolytic capacitors have good performance, low price and wide application, so the market prospect is very good. Among electrical products, aluminum electrolyte capacitors are among the main components. In the manufacture of aluminum electrolytic capacitors, electronic aluminum foil is a major production material. To a certain extent, the quality of aluminum electrolytic capacitors depends on high quality electronic aluminum foil materials. Reasonable use of electronic aluminum foil performance can improve the quality of electrolyte capacitors, and promote the sustainable development of the electronics industry. Usually, the aluminum foil supplier for electrolyte capacitor offer 1070 aluminium foil, the aluminum content is ≥99.99%, and the thickness of the is about 0.1 mm. The surface is smooth, flat and the texture is relatively uniform. In fact, it has a great correlation with the actual production process, rolling equipment and operation technology.